Our elementary program is an extension of our Early Childhood (Preschool and Kindergarten) program. 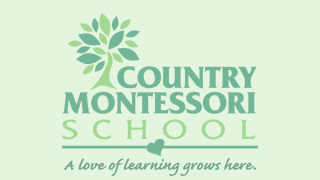 We follow Montessori “Best Practices” and maintain the highest standards of Montessori education while remaining true to its principles and philosophy. The child coming from Early Childhood (Preschool and Kindergarten) to elementary has an especially smooth transition because the materials build upon each other. The materials he built his foundation on are present in the lower elementary classroom as well. The materials, the way in which the environments are set up make a wonderful bridge from one level to the other. We also carefully transfer the child’s records from Early Childhood (Preschool and Kindergarten) to Lower Elementary and from Lower to Upper Elementary this includes teachers getting together to talk about the social, emotional and academic needs of the individual children. Reading is an essential stepping stone to learning! Our exceptional reading program provides students the instruction, materials, and practice necessary for them to become successful, enthusiastic, life-long readers. In our balanced literacy approach, we specifically combine the use of systematic phonics instruction (the sounds and rules we use for language), sight word instruction (a whole language or whole word approach), appropriate modeling by teachers, and individual student practice with a teacher. Since our reading teacher has the unique role of specifically focusing on literacy, she personally assesses each student. Parents receive an assessment summary with each progress report explaining their child’s reading growth. Each student has the unique opportunity to meet 2-5 times weekly with our reading teacher in small groups of 4-7 students with similar instructional needs. While in guided reading groups, first and second level students focus on phonics skills (a continuation of Early Childhood Montessori instruction), reading strategies, fluency and comprehension using a variety of appropriately leveled texts. Third level students participate in small literature groups to read and discuss the various elements of literature using higher levels of thinking. Our elementary math program is extensive. It begins with an introduction to place value and the four basic operations, using such concrete materials as the Golden Beads and the Stamp Game. More advanced work in the four basic operations uses such materials as the Bead Frames for addition, subtraction and multiplication, the Checkerboard for multiplication and Test Tubes for division. The use of concrete materials for learning math provides the child with an opportunity to fully understand the inner workings of the operations (e.g. regrouping and exchanging). Students in the 6 to 9 program also learn the associative, distributive and commutative properties, use materials to explore binomials and trinomials, powers of numbers, squaring, square analysis, passage from one square to another and the Decanomial. They are also introduced to fractions, fraction equivalencies, multiples, Lowest Common Multiple, Greatest Common Divisor, divisibility, and all four operations in fractions with like and unlike denominators. Mastery of basic math facts is emphasized. Children also work with money, standard and metric measurement and word/story problems. Children in the 9 to 11 program continue to work in the four basic operations, moving always toward abstraction. Previous math facts mastery plays a crucial role. They are also introduced to decimals, and the four operations with decimals, on such concrete materials as the Yellow Decimal Board and the Decimal Checkerboard. They begin work with integers, eventually doing all four operations. They continue their study of binomials and trinomials, squaring and the powers of numbers. They also learn expanded and exponential notation, square root, cubing and cube root, ratio and proportion. All mathematical processes are initially presented and practiced with concrete materials. As the child gains understanding in the processes, he or she will move into abstracting them, with the ultimate goal of being fully competent in abstract operations by the end of the 6 to 11 program. Our geometry program begins on the sensorial level with an introduction to the basic two-dimensional plane geometric shapes and the three-dimensional solids. Through concrete materials such as the Geometry Cabinet, the Geometric Solids, the Geometry Sticks and the Constructive Triangles, students explore the concepts of point, line, line segment and ray. They are introduced to parallel, divergent and convergent lines. They also learn about the types of angles and their parts, the relationship between angles, intersections, plane figures and the construction of polygons. Triangles and their terms are studied in depth. The program continues with work in the measurement, addition and subtraction of angles using both the Montessori and traditional protractors. Students also do a thorough study of quadrilaterals and regular and irregular polygons. The circle and its parts are introduced. The 9 to 11 program includes the study of congruency, similarity and equivalency, using the Insets of Equivalency, and more advanced work with the Constructive Triangles, as well as an introduction to basic area work. Students in the 9 to 11 program continue area work and are introduced to the Pythagorean Theorem, learning to apply the related formulae to abstract work. They also complete an in-depth study of circles, including work in figuring circumference and area, and they learn how to compute the surface area and volume of solids. Our goal is to provide every child with a strong foundation in geometry through a concrete understanding of its concepts and applications in reality. In the elementary program, the study of history begins with lessons and concrete materials that build the child’s understanding of time as a regular unit of measure. Clocks and calendars are also introduced and their history explored. Supplemental activities help the child to master telling time and using the calendar. Basic work in the concept of the passage of time begins with the child’s life. Through such activities as the Time Line of My Life, the Time Line of My Family and A Short History of My Life, the young child learns to apply the regular units of time measurement to his or her own experience. The child is also introduced to the days of the week, the year and its parts, and the seasons. During the 6 to 9 program, the child’s history studies parallel his or her studies in geography and physical science experiments, so that the history lessons on the formation of the universe, the stars, the solar system and the earth are supported by experiments and lessons in physical geography in such areas as the three states of matter, centripetal and centrifugal force, gravity, inertia, volcanism, etc. The study of the Time Line of Life on Earth is also paralleled by work in zoology, botany and geography. So, as the child is introduced to the Paleozoic Era (Age of Invertebrates), he or she is also studying invertebrates in zoology, learning about plate tectonics in geography, and exploring the basic types and structures of plants in botany in order to understand what changes had to take place on Earth to make way for plant and animal life. Time Line of Life studies progress through the Mesozoic and Cenozoic Eras and end with a brief look at the Neozoic (Age of Man). Students in the 9-11 classroom continue their study of the Time Line of Humans, which chronicles the history of Stone Age Man. The children prepare for this study by revisiting mammals in depth, with special emphasis on the primates. They explore fossil evidence and research on early humans. They begin the time line with a look at Homo Erectus, continuing with a study of Neanderthals and Cro-Magnon humans. Supplemental work with the Stone Age Man materials supports the time line studies. The Time Line of Humans study culminates with a preview of the early great river civilizations. It should be noted that Time Line of Life and Time Line of Humans studies rely heavily on the theories on natural selection and evolution, and are presented to the children with the understanding that these are theories , which are still being tested. The 9 to 11 students study the reasons and routes for early migrations, look at settlement patterns and how these relate to the proximity of large river systems, and begin their in-depth study of early civilizations such as the Sumerian, Egyptian, Minoan/Mycenaean, Grecian, Etruscan, and Roman. They also explore the Middle Ages and the Renaissance. They do a wide variety of research projects in these areas, ranging from the building of ziggurats and pyramids to the creation of their own coats of arms and a medieval newspaper. Students also study the advent of far-reaching exploration, thus preparing them for their study of the discovery of the New World, U.S. History including California History. The elementary program in geography begins with a study of the basic land and water forms, presentations of globes and maps, and a basic overview of the seven continents from both the physical and cultural perspectives. Lessons are also given on the formation of the universe, stars, the solar system and our earth. These are supported with experiments illustrating such natural processes as volcanism, stratification, erosion, gravity, velocity, inertia, etc. As mentioned in the overview of the history curriculum, the study of Earth’s development, its physical processes and its history are so closely related that these areas of the curriculum support one another and are taught simultaneously. Children also study the effects of solar energy on Earth and its atmosphere, the consequences of rotation and revolution, Earth’s atmosphere and the phenomena of climate and weather, and the hydrosphere and its influence on Earth’s atmosphere, landforms and bodies of water. These studies are supplemented by experiments and are related to history and biology studies, as the effects of these phenomena on Earth’s ecosystems and life forms are presented and researched. Building upon this strong foundation in physical and cultural geography, older students explore economic geography. They are able to understand how climate, weather patterns and other natural forces affect ecological regions, govern lifestyle there and influence what is produced and what must be imported to sustain life. Students also focus on current events during this time. Their broader understanding of the geography of the world allows them to put these events into perspective. In our endeavor to educate children to be responsible world citizens, we continue to provide opportunities to study the seven continents, taking two continents a year and studying them in detail, to explore their land forms, bodies of water, regions and ecosystems and to learn about the cultures which inhabit them. Interpreting topographical, relief, population, product and weather maps. Botany studies begin with a look at the life cycle of plants and presentations that explore the importance of plants to human and animal life. Students are encouraged to look at the many ways that plants provide for our fundamental needs. They do this with a variety of independent research projects. Botany studies continue with presentations of nomenclature and impressionistic charts which detail the basic needs of plants, their parts, and the functions of these parts. Students study roots, stems, leaves, flowers and fruits. They learn about plant reproduction, pollination, phyllotaxis, photosynthesis, monocotyledons and dicotyledons, succulent and dehiscent fruits, seeds and the means by which they travel, and alternate means of regenerating. They learn about the system of scientific classification with materials such as the Five Kingdoms Chart. All botany studies are supported by experiments that illustrate how the plant meets its needs, how plant systems function, and the importance of plants to the ecosystem. Students are actively involved in growing, caring for and observing plants in the classroom. Botany work also parallels studies in geography, history and zoology that explore the role of plants on Earth. It is our goal that the children understand, from these studies, the interdependence of all life forms and the custodial role humans must assume to protect and preserve life on Earth. The elementary zoology curriculum begins with a look at the differences between vertebrates and invertebrates. It progresses to an introduction to the five classes of vertebrates and their skeletal structures. The external parts of the vertebrates are presented with nomenclature. The Animal Kingdom Charts and “first knowledge” questions support intensive research. With these materials as a stepping off point, children explore how and where animals live, what they eat, their life cycles and physical characteristics. The system of scientific classification is formally introduced, and children learn that both vertebrates and invertebrates can be classified using this system. The nomenclature for the six major phyla of invertebrates is then presented, and students do independent research on these animals. The study of invertebrates parallels their introduction to the Time Line of Life in history, since our earliest fossil record of life on Earth is that of invertebrates forms. The Animal Kingdom Charts and “first knowledge” questions also supplement invertebrates work. The children then return to the vertebrates, looking at the internal parts of the five classes. Their research projects expose them to scientific classification as well as information on the circulation, respiration, skin type, skeletal structure, reproduction, and method of movement, nutritional needs and habitat of the animal the are researching. This study of the five classes of vertebrates also parallels Time Line of Life studies, as these classes are presented in the order in which fossil evidence shows that they appeared on Earth. The literacy program in Elementary is phonetic based and evolves from our Primary Program. It provides the child with rich, interactive materials and experiences within a meaningful and supportive social context. Developmental reading skills and using reading as a tool are the areas emphasized at this time. Exercises that include phonemic awareness, units of study based on cultural subjects, and research opportunities are standard. Reading and writing possibilities occur throughout the classroom and in reading groups. Each classroom has a library which provides resources in all subject areas and many genres of literature. Early elementary students progress through The Houghton Mifflin Reading Series, which was selected for its current literature, and its multicultural based stories. A phonics workbook is provided for additional practice highlighting the importance of phonetic awareness. The children are divided into reading groups based on formal and informal assessment measures. One formal assessment that is utilized is The Benchmark Progress Test. It is administered in September, January and May. This test measures each child’s independent reading and writing skills. Our students’ standardized test scores in reading are generally quite strong due to the emphasis we place on giving each student a solid background and frequent individualized reinforcement. Independent reading culminating with book reports exposes students to many types of literature as well as the process of gathering information and presenting it in an interesting fashion. Dictionary skills, encyclopedia skills and the use of a thesaurus are presented to students. Students are afforded the opportunity to display a thorough understanding of such items in research projects. They are guided to appropriate traditional sources for research as well as classic Montessori materials such as nomenclatures, biome box cards, and the Stages in the Progress of Civilization work. Independent research is a part of the everyday life in the Montessori classroom. As they progress, third level students also read Scholastic News and become involved in literary groups. Participating in literary circles expands the child’s knowledge of character development, vocabulary, plot study, and learning to compare and contrast within the text and reality. The novels used in the literary groups are chosen for their adaptability to the above requirements and reading level. Participants develop the ability to discuss the text using specific terminology. Their love for literature is expressed during discussions and in the follow-up assignments. Our strong emphasis on the study of grammatical systems facilitates reading and writing competencies. Using a variety of concrete materials, we present the nine basic parts of speech and their corresponding symbols and functions. Then using these symbols, students identify and label the parts of speech in sentences and eventually paragraphs. They also learn to do structural analysis of sentences, thus expanding their understanding of how words and phrases function. Lower elementary children have a multitude of experiences with word study. They become adept in identifying, understanding, and using compound words, affixes, and homophones. Upper Elementary students continue to expand their knowledge of grammar by studying the history of the English Language, etymology, noun classifications, comparative and possessive adjectives, verb conjugations, mood, voice, negatives, auxiliary and linking verbs, transitive and intransitive verbs, infinitives, gerunds and adverbials, attributives, appositives, direct address and the functions of clauses. It is our goal to ensure that each student understands how language functions in both written and oral formats. Parallel to their study of grammar, elementary students engage in many language arts activities which promote an expanded vocabulary, good writing skills and an appreciation of a wide variety of literary genres. Students are instructed in such basic skills as writing complete sentences, identifying the different types of sentences, using proper capitalization and punctuation, and constructing paragraphs using the five-sentence format. Students also practice writing essays of all types, composing letters for various purposes, and designing and presenting oral reports. They learn to read, write and recite different forms of poetry. They create their own stories, drawing on their studies of such literary forms as fable, myth, legend, fairytale, and tall tale. Older students also learn to write project proposals, design audio and visual aids for presentations, proofreading, editing, self-publishing, and even book making. It is our goal to instill in the children an appreciation of literary forms and to provide them with the skills they need to be competent readers and writers. The child who is 3-6 seeks to conquer their immediate environment. The 6-9 child wants to conquer the world. The cultural areas of the classroom provide the means for this development. There is a balance between helping the child acquire the basic skills and exploring the sciences; cosmic curriculum. It is in exploring these elements that we help our children find their place in our world. The students participant in practical life activities; escorting primary children from their cars to their classrooms each morning, running group meetings, caring for pets being raised in or outside the classroom, watering the plants and tending the gardens, setting and cleaning up lunch, including loading the dishwasher. The children are involved in other life skills such as sewing and cooking projects. They are given opportunities to make decisions regarding the running of the classroom. By sharing in these daily duties, the children not only learn Practical Life skills, they also take a vital part in maintaining their environment and develop habits of responsibility. Social development of each child and the sense of community are also fostered through Practical Life. Everyday kindness and courtesy are vital life skills. Lessons in Grace and Courtesy teach everyday social customs, such as how to disturb the work of others, how to ask if you may join in an activity and how to graciously decline an invitation. The third level students participate in the National Stock Market Game in which they simulate the management of stock portfolios and in the process learn the basics of macroeconomics. A crucial part of our curriculum is Peace Education. Peace begins within the classroom and extends beyond its walls. There is an on-going commitment to fostering a calm and cooperative atmosphere, a sense of classroom community, and a resource for all life. Children are continually treated by teachers and classmates with dignity and respect. Lessons on conflict resolution, interpersonal relationships, world peace, and positive character traits such as empathy are given. The children participate in exercises involving the awareness of self, others, community, and environment. They sing songs and read books about peace. Guidance for social and learn work skills are given on an individual and group basis. All of these activities help develop a clear sense of values and social conscience. Peace Education is also cultivated through research and immersion of other cultures during geography lessons described above. Although Peace Education is entwined in the everyday life of CMS, there is also a special peace corner of the classroom devoted to sustaining a calm environment. Here children can sit quietly and read a book about peace, relax, or meet with a friend to resolve problems using the appropriate conversational tools they have learned. --- Birthday celebrations take place from 8:30-9:00 on Mondays and Fridays. --- Sharing usually takes place on Friday mornings.